Universal Tool 1/2'' x 12'' Belt Sanders feature a head that rotates 360° for operator convenience and comfort and interchangeable contact arms that maximize operational capability. 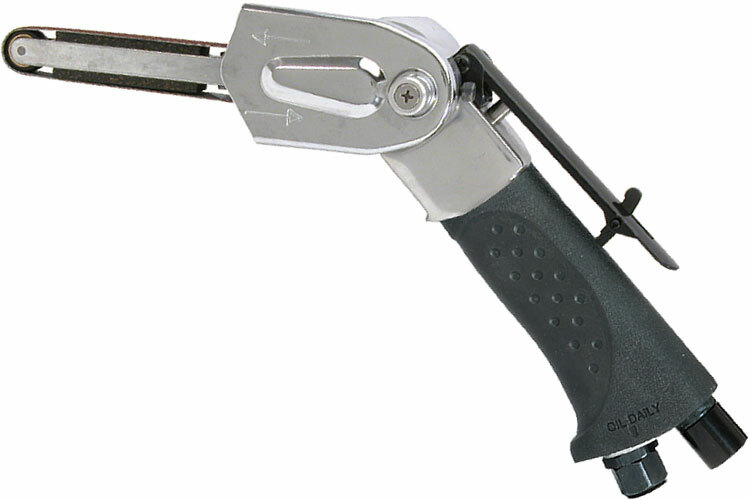 Universal Tool 1/2'' x 12'' Belt Sanders also feature a safety lock-off throttle, an ergonomically designed side handle and grip for comfort and control and a swivel air inlet and built-in silencing for noise control. Universal Tool 1/2'' x 12'' Belt Sanders are best suited for light grinding, sanding, deburring and engine port work. The UT8718 Universal Tool 1/2'' x 12'' Belt Sander is one of thousands of quality tooling products available from MRO Tools. Please browse Universal Tool Belt Sanders for tools similar to the UT8718 Universal Tool 1/2'' x 12'' Belt Sander. UT8718 Universal Tool 1/2'' x 12'' Belt Sander description summary: Universal Tool 1/2'' x 12'' Belt Sander. Motor (hp): 0.25 Motor (Kw): 0.18 Belt Size: 1/2'' x 12'' Speed (RPM): 20,000 Exhaust: Handle Weight: 2.2lbs/1.0kg Height: 5.5'' Length: 12.00''/305mm Air Inlet (NPT): 1/4'' Rec. Hose ID (in): 3/8'' Quantity discounts may be available for the UT8718 Universal Tool 1/2'' x 12'' Belt Sander. Please contact MRO Tools for details.